CKLF1 is a chemokine with increased expression in ischemic brain, and targeting CKLF1 has shown therapeutic effects in cerebral ischemia model. Microglia/macrophage polarization is a mechanism involved in poststroke injury expansion. Considering the quick and obvious response of CKLF1 and expeditious evolution of stroke lesions, we focused on the effects of CKLF1 on microglial/macrophage polarization at early stage of ischemic stroke (IS). 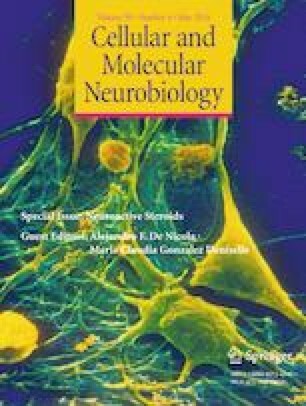 The present study is to investigate the CKLF1-mediated expression of microglia/macrophage phenotypes in vitro and in vivo, discussing the involved pathway. Primary microglia culture was used in vitro, and mice transient middle cerebral artery occlusion (MCAO) model was adopted to mimic IS. CKLF1 was added to the primary microglia for 24 h, and we found that CKLF1 modulated primary microglia skew toward M1 phenotype. In mice transient IS model, CKLF1 was stereotactically microinjected to the lateral ventricle of ischemic hemisphere. CKLF1 aggravated ischemic injury, accompanied by promoting microglia/macrophage toward M1 phenotypic polarization. Increased expression of pro-inflammatory cytokines and decreased expression of anti-inflammatory cytokines were observed in mice subjected to cerebral ischemia and administrated with CKLF1. CKLF1−/− mice were used to confirm the effects of CKLF1. CKLF1−/− mice showed lighter cerebral damage and decreased M1 phenotype of microglia/macrophage compared with the WT control subjected to cerebral ischemia. Moreover, NF-κB activation enhancement was detected in CKLF1 treatment group. Our results demonstrated that CKLF1 is an important mediator that skewing microglia/macrophage toward M1 phenotype at early stage of cerebral ischemic injury, which further deteriorates followed inflammatory response, contributing to early expansion of cerebral ischemia injury. Targeting CKLF1 may be a novel way for IS therapy. This work was supported by the National Natural Science Foundation of China (81730093, 81730096, 81873026, U1402221); the National Mega-project for Innovative Drugs (2018ZX09711001-002-007, 2018ZX09711001-003-005, 2018ZX09711001-009-013); CAMS Innovation Fund for Medical Sciences (CIFMS) (2016-I2M-1-004); Beijing Key Laboratory of New Drug Mechanisms and Pharmacological Evaluation Study (BZ0150); The State Key Laboratory Fund Open Project (GTZK201610); China Postdoctoral Science Foundation (2013M540066); Project of NDRC and State Administration of Traditional Chinese Medicine (60011000); Hunan Provincial Key Laboratory for Standardization of Important Chinese Herbal Pieces (BG201701, 4981-0901020). Chen Chen, Shi-feng Chu, Zhao Zhang, Nai-hong Chen conceptualized and designed the study; Chen Chen, Qi-di Ai, Fei-Fei Guan, Sha-Sha Wang, Yi-Xiao Dong, Jie-Zhu, Nai-hong Chen acquired and analyzed the data; Chen Chen, Qi-di Ai, Wen-Xuan Jian, Nai-hong Chen drafted the text and prepared the figures. Final approval of the version to be published: All authors.